The first action you have to take is to apply click fraud monitoring to your domain. In order to monitor your ads against fraud, we use two different methods. The HTML tracking code. This code needs to be installed on all landing pages and is used for both Adwords and Bing. 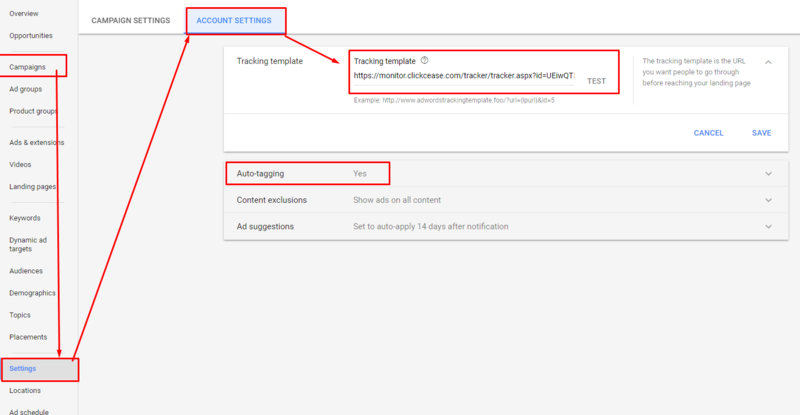 An Adwords tracking template which needs to be implemented into your Adwords account. 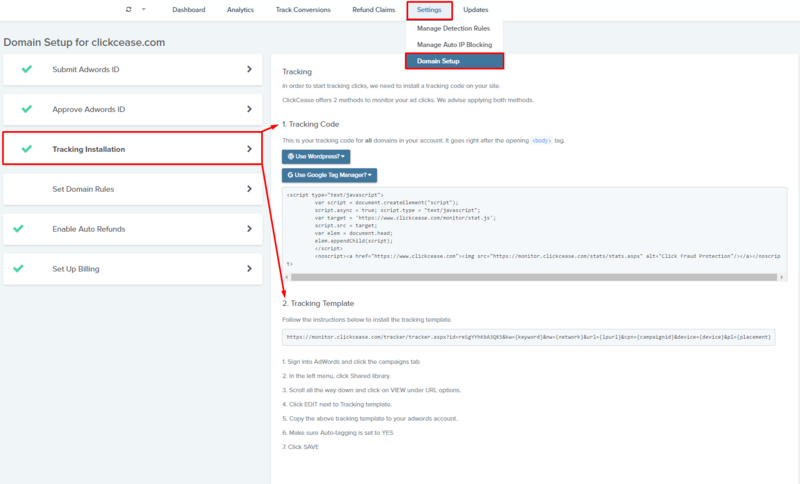 Then, you should set up automatic IP blocking to your domain. In order for the automatic IP blocking script to begin running, you must grant ClickCease access to the Adwords account related to the protected domain. After you purchase a standard or a premium protection package, head over to "Settings"--->"Domain setup"--->"Submit Adwords ID"
After entering the Adwords ID, the system will automatically send you an access request to your Adwords account from our ClickCease MCC account. You will then need to approve the request. Check the "Approve Adwords ID" sub-tab for specific instructions on how to approve the request if you are unsure. Once accepted, the account will have its automatic IP blocking feature turned on within 30 minutes or so.